Jeff Hind Smash Repairs is the one stop destination for the car smash repairs Moorabbin offer at high standards and we pride ourselves on delivering the positive outcomes with great customer services and we guarantee on turnover as well as high quality repairs and mechanical services. We carry out Car smash repairs in Moorabbin by using the latest tools and techniques that will deliver the best outcomes to our customers. Our team of professionals are well trained and experienced in offering the reliable Car smash repairs Moorabbin and we work hard to fulfill all the requirements of the customers and make the car look beautiful after we provide our service. The equipment used to clear the smashed part of the car is updated and latest tools which help to restore the original shape of the car. We deliver the car neatly as it is in the original state and we use to paint without differentiating with the remaining paint on the car according to the customer’s requirements. Our Bentleigh shop offers a wide range of services for vehicles in Melbourne. When it comes to car smash repairs Moorabbin you know you’re getting quality service from our repair shop professionals. Yes. We assess vehicles in liaison with insurance companies. If your vehicle has a smash repair issue ,Call us and find our more. 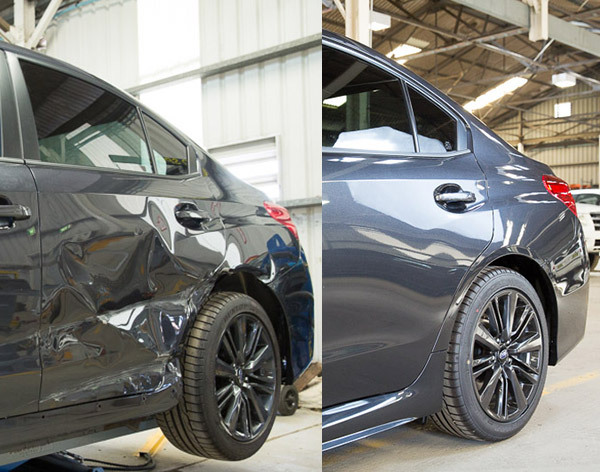 At Jeff Hind Smash Repairs, we also offer the services like panel beating services, Paintless dent removal, spray painting, Towing services, car body restoration and fleet smash repairs. Our services are available at affordable prices with no hidden charges and also we don’t compromise on the quality services that we provide to our customers. If your vehicle has a smash repair issue, Call us at (03) 9563 7955 and also find us at info@jeffhindsmashrepairs.com.au.